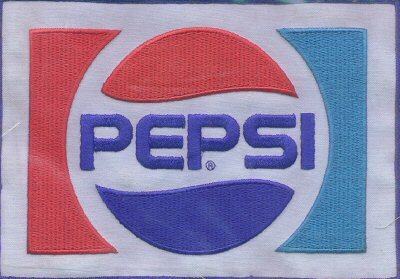 "Pepsi - Large Cloth Patch - Circa 1970's." (1663) Pepsi - Large Cloth Patch - Circa 1970's. - Condition: Excellent. Wonderful Large Cloth Emblem which is made to be sewn onto a jacket etc. Patch has plastic backing and while not new...is in a plastic sealed bag. Patch measures 8 1/2" by 6". Price: $9.00 + shipping.